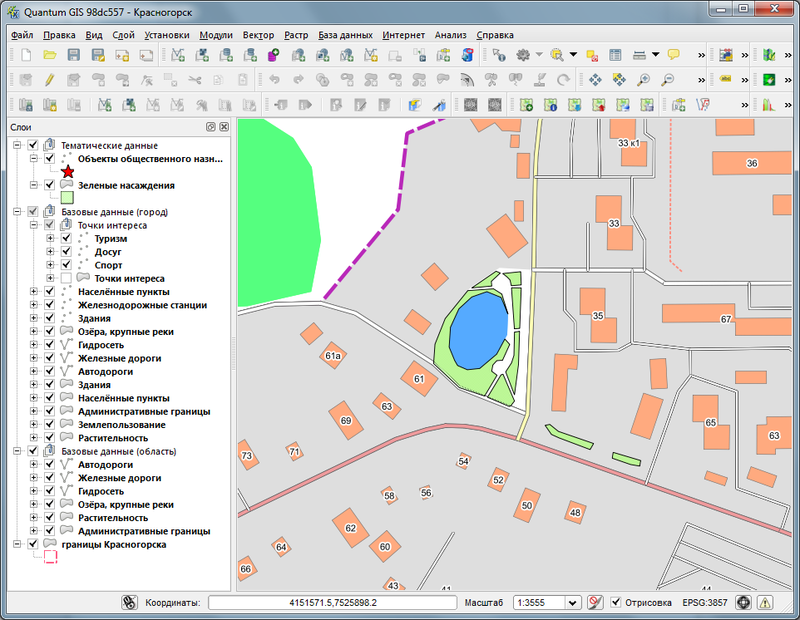 The GIS uses OpenStreetMap data as a base map. Two digital layers were also created and overlaid on top of the base map: green areas (lawns, parks, etc.) and public buildings. The base map is updated daily via the Internet. 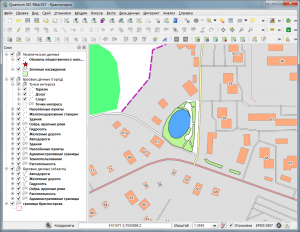 GIS is built upon exclusively free (open-source) software. 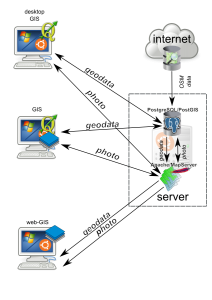 Access control and information access is managed via the means of operation system and DB. 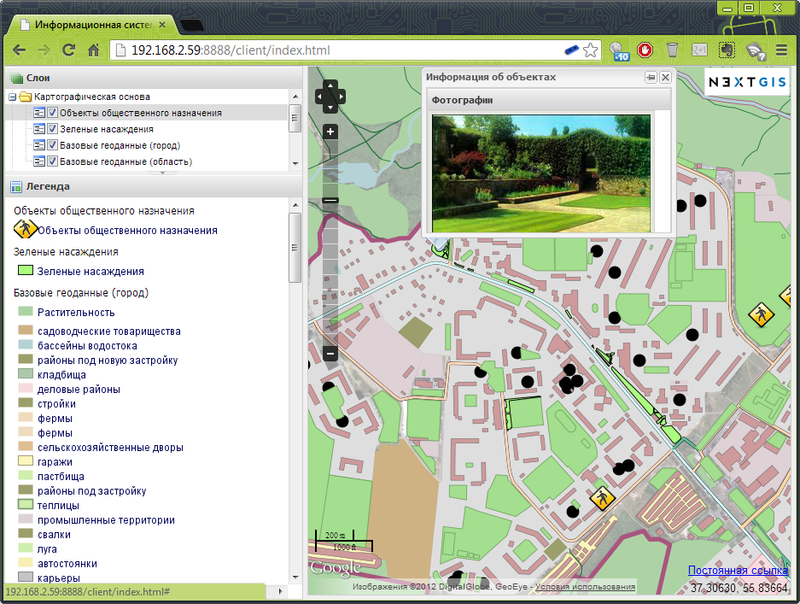 Desktop client is based on NextGIS-QGIS 1.9, web-client is developed with ExtJS 3.4, OpenLayers and GeoExt.